School Trip Ideas North West | School Visits | Imagine That! Has your school discovered ImagineThat! ? The perfect northwest school trip venue for Early Years, KS1 and early KS2. 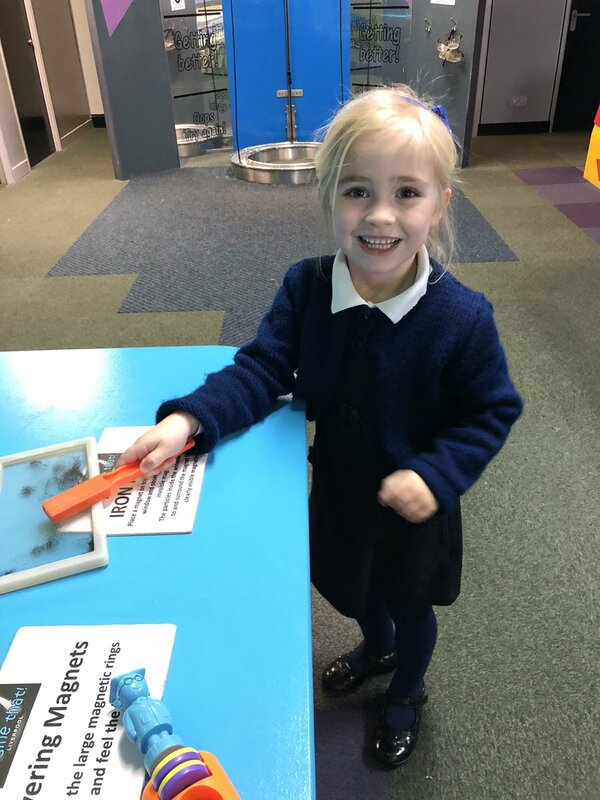 All school trips include a minimum of three workshops eg slime, bath bombs and fridge magnets, a science show with rockets, volcanoes and bubbles and free exploration under the supervision of teachers and helpers. Trips are from 10am-2pm. We have excellent packed lunch facilities in a room with private access just to school groups. This room can also be used to store lunches and any belongings during your visit. · School trips run from 10- 2 pm with coach drop off directly outside the school entrance. · On arrival you will be given a place to store your lunches and any personal belongings. · Times for the workshops, science show and lunch will be coordinated with you and allocated on the day. · The school trip will begin with a short introductory talk to the children outlining our rules and all the activities and workshops that will be available to them. 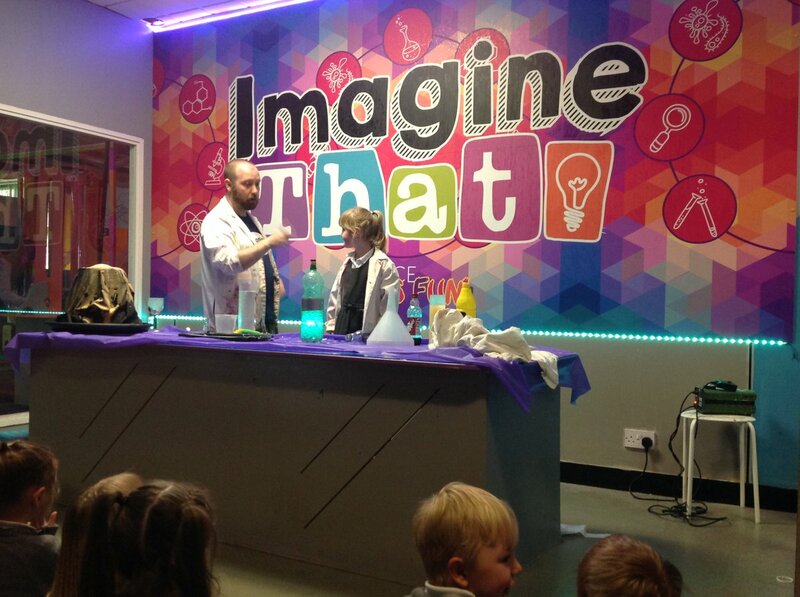 · Each class will also take part in a very exciting and interactive science show which lasts approximately 25mins. Imagine That! Liverpool is filled with many wonderful things for the children to explore and enjoy so you do have time for free exploration. 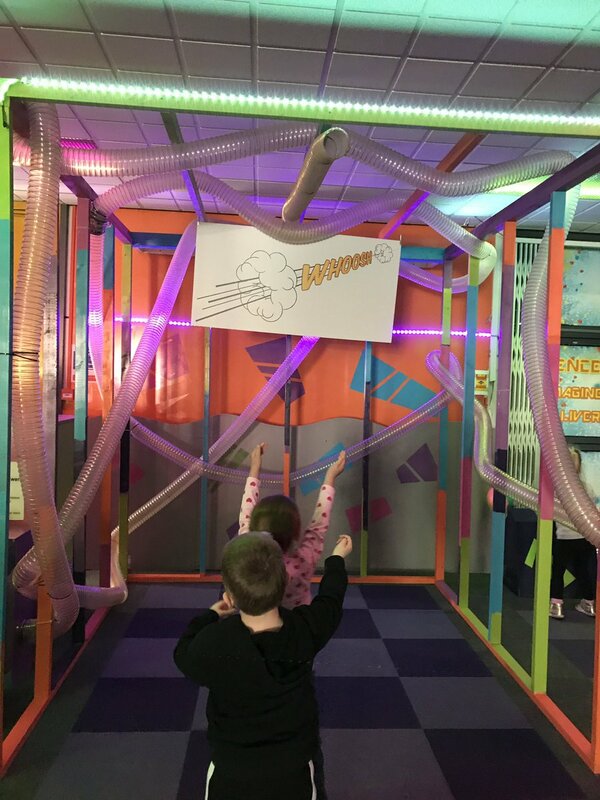 A favourite with children and teachers alike is our giant bubble maker where the children can stand inside a ring and make a bubble that is potentially 6ft high! Unbelievabubble! In addition there are many other exhibits to enjoy such as the microscope, magnet table, alarm tunnel and on Target range. 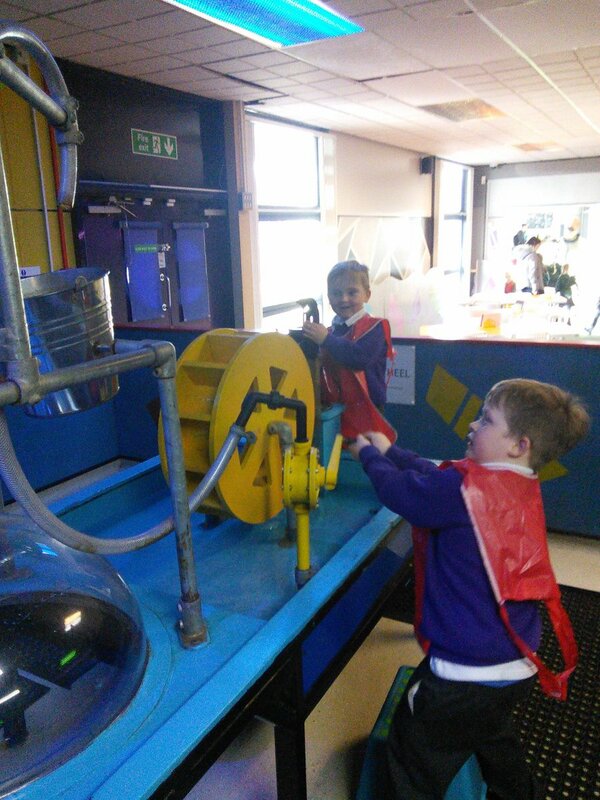 OurPump and Splash Water Area is full of fun as the children pump the water to fill and tip the buckets and pump to turn the water wheel. There is also panning for gold and general water play. The Art Area begins in the ConservARTory with chalk boards, see through easels, mosaics and weaving. Our craft table is a hub of creativity as the children are busy making different crafts andthis is where they will paint their fridge magnet. In this area is our signature “paint the car” where the children can take a pot of paint and leave their mark on our real car! At the entrance to our Construction zone are lifesize dinosaur footprints that the children can measure their own feet against and this leads into a sandy area which is filled with diggers, sand sieves and dinosaur bones and fossils. The children will then make their way onto the construction site where the they can don hi vis vests, hard hats and tool belts and get to work in an area that is always busy. 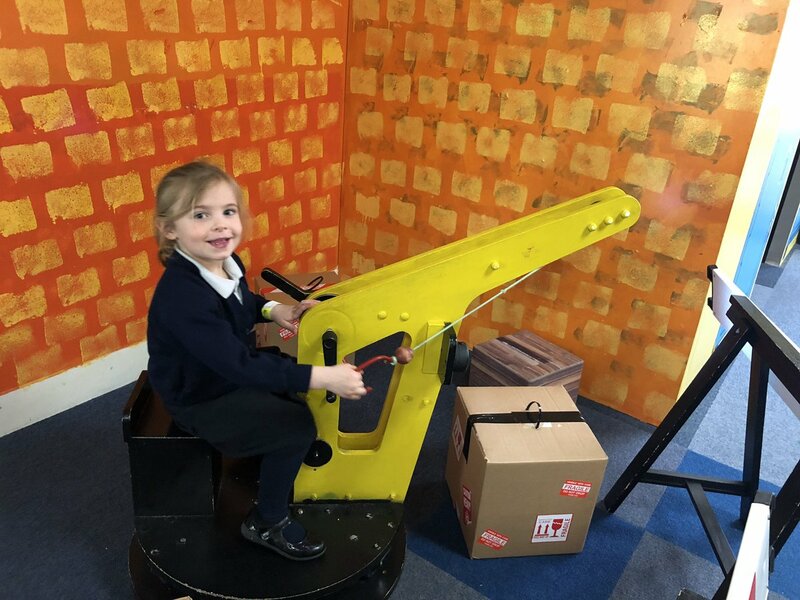 There are two large cranes with which the children can lift and move “heavy” boxes. Or they can fill their wheelbarrows with bricks and then load them onto the conveyor belt to send them up to the top of the construction site. 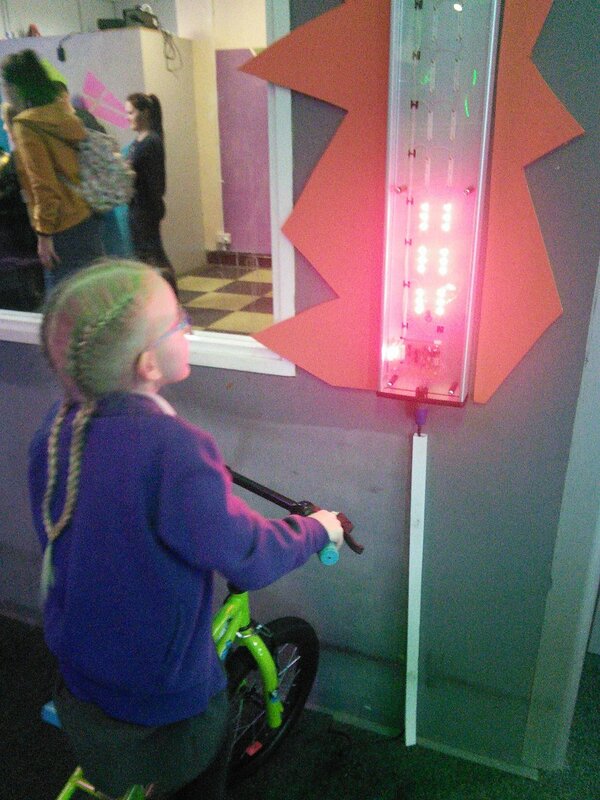 To enter into our Imagination Village the children simply press the button on the pelican crossing, wait for the beeps and then cross on into our bustling high street which is brimming with ideas to inspire their imaginations. We have a Pizzeria, a Pet rescue, Hair Salon, American Diner, Supermarket, Car Wash, Theatre, Back stage costume area and T.V Studio. The cost of the trip is £ 7.95 (inclusive of VAT) per child with 1 free adult for every 5 children. At certain times we are able to accommodate requests for extra workshops to complement your school topic so please just ask at the time of booking.